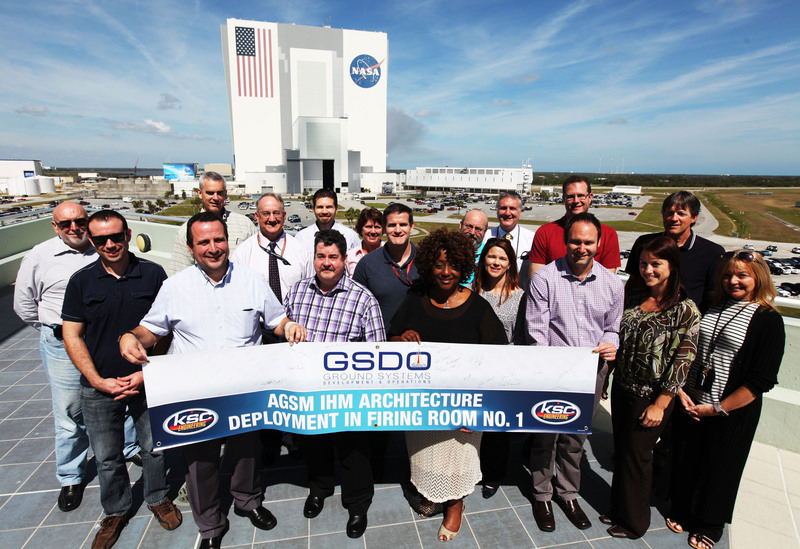 Engineers at NASA’s Kennedy Space Center were recognized recently for creating and deploying the IHM Architecture. The deployed IHM Architecture is one of the main elements in the Advanced Ground Systems Maintenance (AGSM) project, formulated to provide Health Management capabilities to Ground Systems to reduce O&M costs and increase systems’ availability. Engineers at NASA’s Kennedy Space Center were recognized recently for creating and deploying the Integrated Health Management (IHM) Architecture — hardware, software and network components — that will be instrumental in accessing the health of ground support equipment, predicting breakdowns, isolating components that have failed, and recommending corrections if failures occur. The deployed IHM Architecture is one of the main elements in the Advanced Ground Systems Maintenance (AGSM) project, formulated to provide health management capabilities to ground systems to reduce operations and maintenance costs, and increase systems’ availability. Operating in Firing Room 1 of the Launch Control Center, the IHM Architecture will oversee the hardware at the launch pad for NASA’s Space Launch System and Orion spacecraft. When specific ground systems are incorporated in the IHM Architecture, it will be capable of collecting the information from the Spaceport Command and Control System (SCCS) and advising launch controllers of its status. Taken together, the system is meant to reduce the likelihood of surprises during the countdown and launch activities of the massive SLS vehicle and Orion spacecraft as they prepare to conduct missions beyond Earth orbit. The work was led by Kennedy’s Engineering Directorate and has been turned over to the teams of NASA and contractor engineers that will use and maintain it during operations.